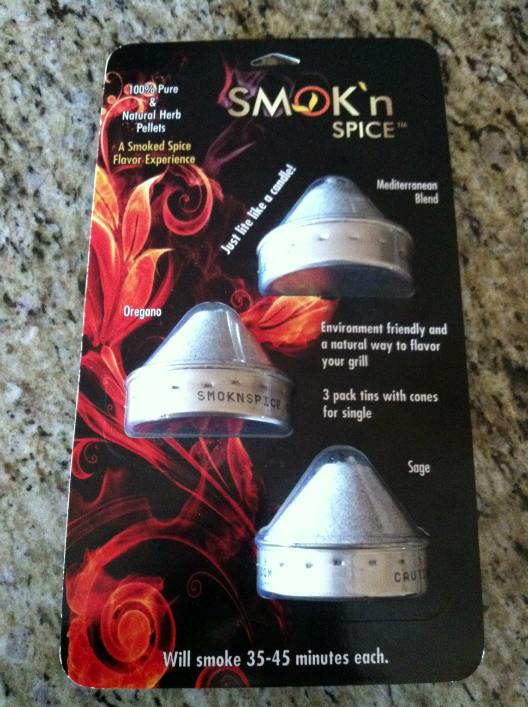 For this week’s review I was sent the Smok’n Spice Smoke Cones from Chris Becker at Smok’n Spice USA, LLP. The Smok’n Spice Smoke Cones are a one time use Smoke Cone that can be used to infuse more flavor into the food you’re grilling or cold smoking. Smok’n Spice Smoke Cones last around 35-45 minutes and light as easy as a candle. Flavors included in each package of Smok’n Spice Smoke Cones are: Mediterranean Blend, Oregano, and Sage. The Smok’n Spice Smoke Cones are 100% pure and made of natural herb pellets. 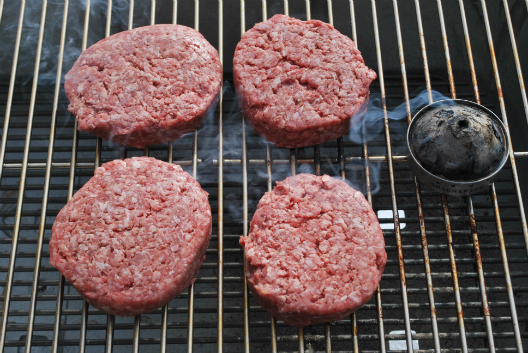 They’re environment friendly and can be used on virtually any type of grill or smoker. 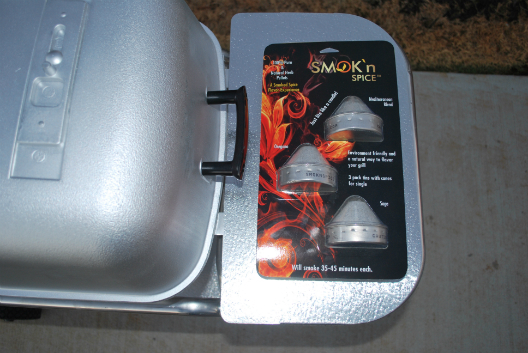 For my review on the Smok’n Spice Smoke Cones I used the Light Smoke Flavor Infusion directions on the back of the package (cold smoke for 15-30 minutes) and cold smoked one meat with each of the Smoke Cones on my new Portable Kitchen Charcoal Grill and Smoker. 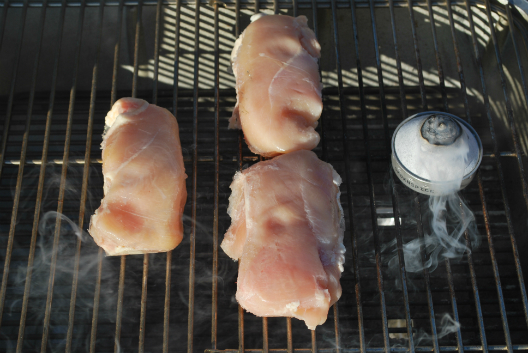 If you decide to use the second set of directions, which is the Intense Smoke Flavor Infusion directions, let the food smoke longer until the Cone stops smoking (up to 45 minutes). The first Smoke Cone I decided to try out was the Sage flavored one. I picked up some pork chops to cold smoke with it. 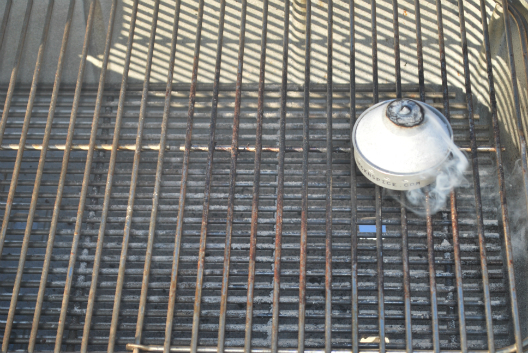 After opening the package I placed the Sage Smoke Cone on my PK Grill and lit the top of the cone with a lighter. 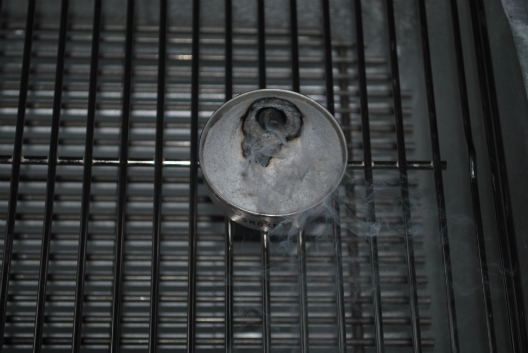 I then let it sit for a couple of minutes until it had a good amount of smoke coming off it. I then placed the pork chops close to the Smoke Cone and opened the vent below the Cone and the top vent opposite of the Smoke Cone. 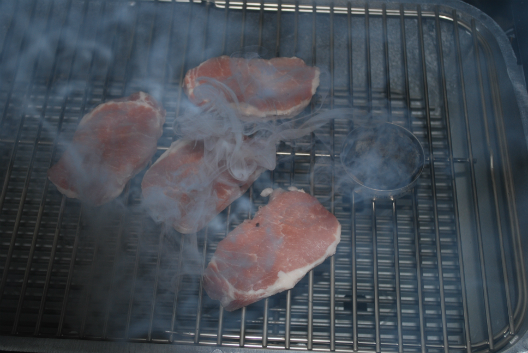 I left the pork chops on the grill for 20-25 minutes to let the smoke flavor infuse into the meat. 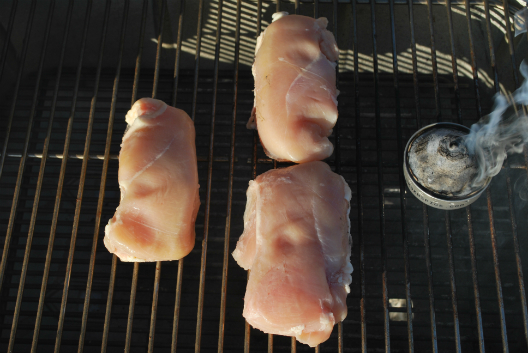 Once I was done cold smoking the pork chops I removed them from the grill. 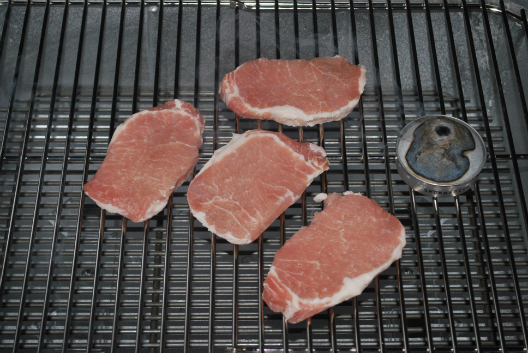 I then lit some charcoal in the PK Grill and cooked the pork chops until done. 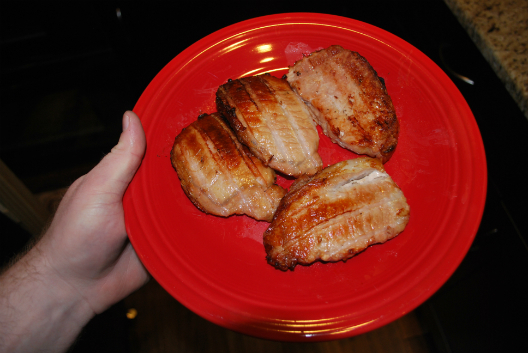 My family and I really enjoyed the nice light smokey sage flavor of the pork chops. The next Smoke Cone I used was the Oregano one. I decided to cold smoke some burgers with this one. I then repeated the same process as mentioned above. After the burgers had cold smoked for 20-25 minutes, I lit some charcoal on my PK Grill and cooked them until the desired doneness. 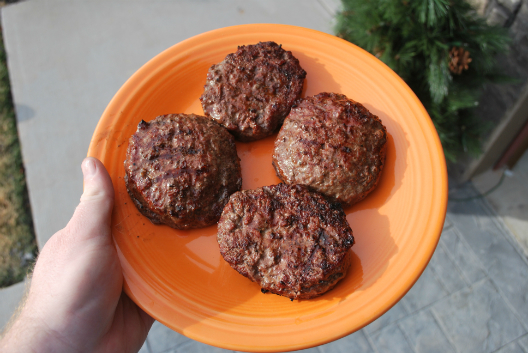 Again, my family and I really enjoyed the nice light smokey oregano flavor of the burgers. Last but not least was the Mediterranean Blend Smoke Cone. For this one I decided on some boneless skinless chicken breasts. 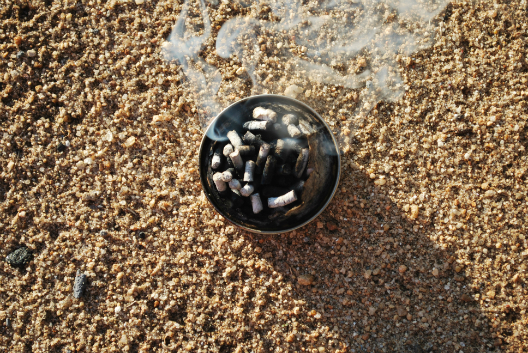 Once again, I repeated the same process as mentioned above in the previous two cold smokes. 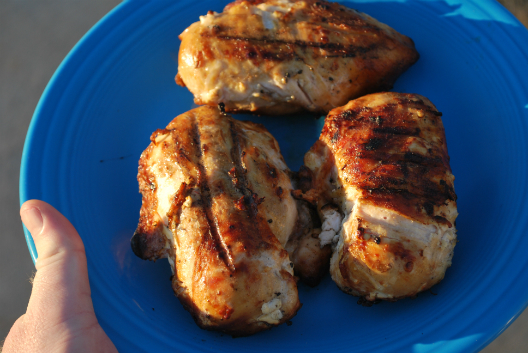 After the chicken had cold smoked for 20-25 minutes, I lit some charcoal on my PK Grill and cooked them until done. My family and I loved the flavor of the chicken cold smoked with the Mediterranean Blend Smoke Cone. Below is a picture of one of the Smoke Cones after it had burned down most of the way. I really liked using the Smok’n Spice Smoke Cones. I felt they gave all three of the meats a wonderful light smokey flavor that I greatly enjoyed. 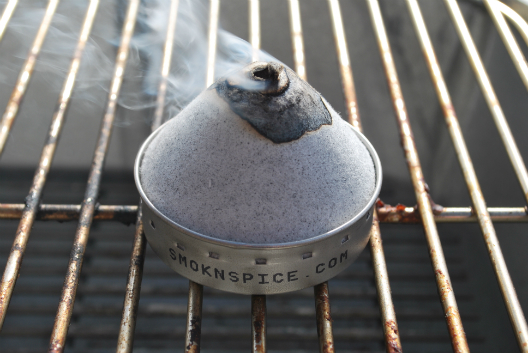 The Smoke Cones were very easy to use and made little to no mess since all of the leftover ash is contained inside the tin. This was a big plus for me and my OCD, lol. 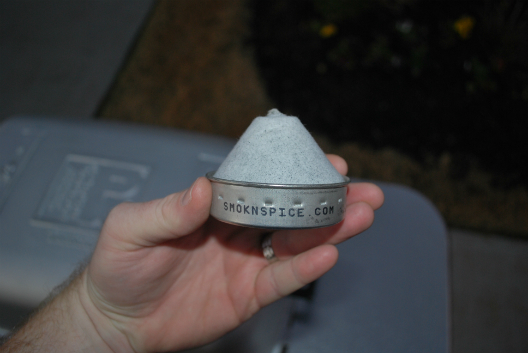 If you’re looking for a fast and easy way to smoke infuse the food you grill then the Smok’n Spice Smoke Cones are definitely worth looking into! You can find a great deal on the Smok’n Spice Smoke Cones here. For more information on the Smok’n Spice Smoke Cones please visit their Website. Cool. I did not know they had a spice in them. I thought it was just smoke. I am going to have to get some and try some fish and maybe some type of cheese. Thanks again for leaving a comment Kevin! I wish one of our bbq stores in the Bay Area carried the Smok’n Spice Smoke Cones. They sound interesting and convenient.